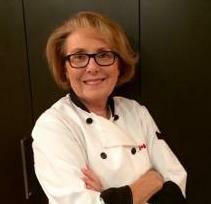 Cooking Uncovered with Chef Miriam: Best Gingerbread dough ever for cookies or houses. Best Gingerbread dough ever for cookies or houses. Recipe Title: The Best Gingerbread Cookies Ever! Perfect for gingerbread men, ladies and houses. Add molasses to butter mixture. Slowly add flour mixture to butter mixture a little at a time. Mix in heavy cream starting with 2 tbsp. and adding more cream if dough is dry and won’t stick together. Divide dough into two and wrap with parchment paper and refrigerate before using. This dough keeps well in the fridge for days. On a lightly floured surface, divide dough into 2 and roll out one of the pieces to desired thickness or approximately ¼ of an inch. Try to keep excess flour off the top of the dough so your cookies are a brown ginger color and not white. Cut out gingerbread people or shapes as desired. Bake in 350°F for 8 – 10 minutes. 3 tbsp. meringue powder (or egg whites can be used but then you have to cut back on liquid) To keep the icing foodsafe use meringue powder instead of egg whites. This looks delicious and easy recipes. Thank you so much for sharing.